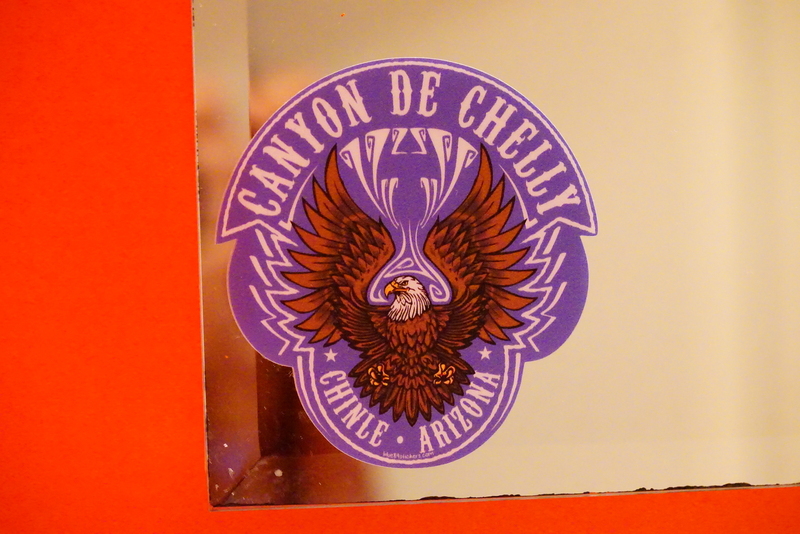 Today’s ‘Canyon de Chelly’ Picture — The Sticker On My Mirror. This way the Canyon is never far from my thoughts. Thought you might get a kick from seeing it. Captures the Navajo ‘pride’ aspect of the Canyon very nicely — in my opinion.